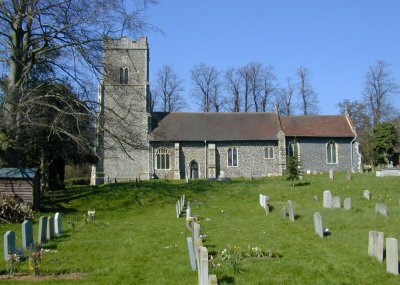 Great Bealings is a small village in rural Suffolk, in the east of England, with a population of under 200 families. It lies in the picturesque and gently rolling landscape around the Rivers Fynn and Lark, where many footpaths and bridleways take the explorer through attractive unspoilt countryside. Our nearest towns are Woodbridge, to the East on the River Deben, population about 11,000, and Ipswich, the County town of Suffolk (130,000) to the West. London is about an hour and a half away either by non stop train from Ipswich or via the A12 if travelling by car. We are very fortunate to have one of Suffolk's top Primary Schools in Bealings. With a small school roll of around 100 pupils aged 5-11, Bealings Primary consistently achieves 100% success for all pupils at Key Stage 2. Their entertaining website is linked and well worth a visit. The Parish Council, which sponsors this website, is supporting the Village Hall Management Committee and their Project Team with the remodeling of the largely unused sloping playground area and its outmoded play equipment, behind the village hall. The initial proposals, distilled from sketch schemes and local consultation, were originally discussed in detail at a special Joint Parish Meeting for both Great and Little Bealings parishioners on Saturday 26 November 2005, at the Village Hall. In only 2 years since that date, the Project Team have obtained planning permission and funding, and commissioned contracts for the playing field to be transformed, into a wonderful facility that will serve several generations of children in the village for several years to come. The old sloping play area has been graded and landscaped into two separate terraces, the John Belstead hard surfaced multi-sports court is now complete, and new play equipment installed aimed at varying age groups. The five-a-side grass football and community area, and a linking cycle track are the remaining items to complete, and it is hoped to do these prior to the end of 2007, subject to suitable funding received in time. 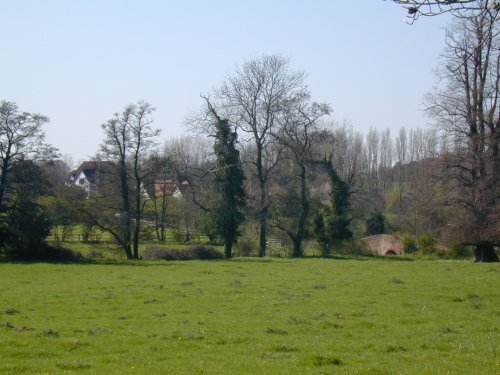 All the minutes from the original joint Parish meeting, and subsequent meetings held by the various stakeholders and the working groups, are on the John Belstead Playing Field page on this site. The playing field has been named after a much loved resident, keen tennis player, and active politician in the House of Lords, John Ganzoni, Baron Belstead, who lived in the Old Rectory Great Bealings, and who gave the project team a very generous legacy in 2006. Please have a regular look at this section. To book the court, please follow the link to the booking site.